The rumors of the price of the Galaxy Note8 gave us sticker shock ($1,000-$1,100! 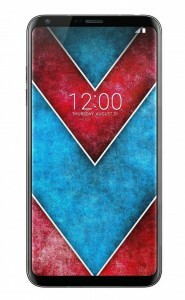 ), can LG challenge with a better price for the LG V30? ETNews thinks “yes” and it has more to share. First, there will be two models – V30 and V30 Plus – which will cost $700 and $875 respectively. They will launch simultaneously on September 15 in South Korea and on September 30 in Germany. The Plus model will have more storage, 128GB vs. 64GB, better audio hardware and wireless charging. The other specs should be identical, including the RAM (6GB). As a reminder: 6” OLED Full Vision display, Snapdragon 835, 16MP + 13MP dual camera (with f/1.6 aperture! ), IP68 waterproofing and 3,200mAh battery. A high-ranking exec from a Korean carrier has handled the phone and praised the flagship’s “outsanding design”. Reportedly, LG is feeling very confident and will challenge directly Samsung, which is set to release the Galaxy Note8 on the same day.